The Egyptian vulture has landed – been looking out for this for a while and now two halves of Europe’s smallest vulture are in my possession. 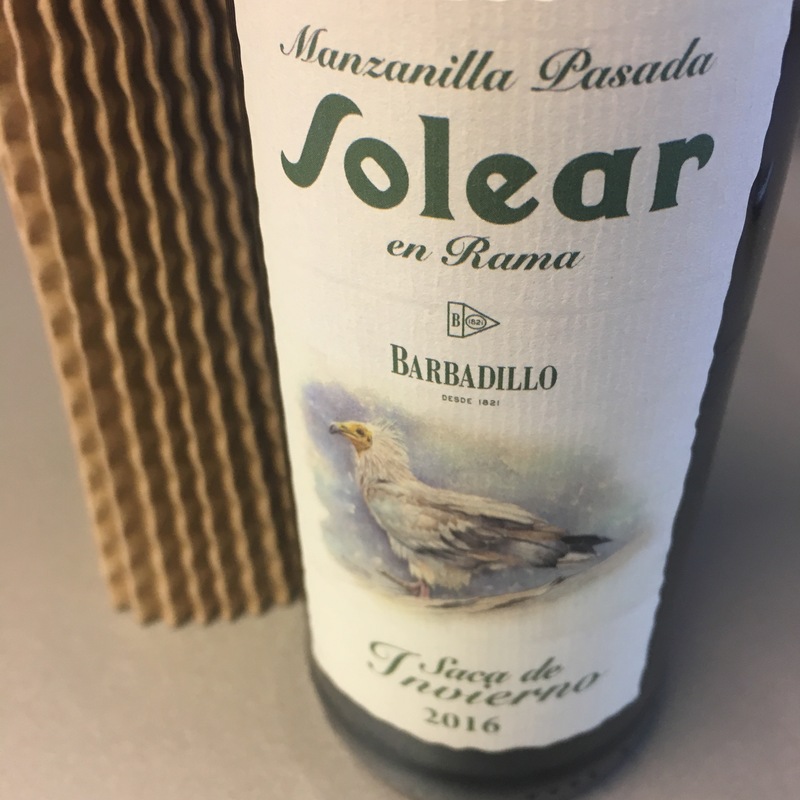 Am intrigued that it is now labelled “manzanilla pasada” (was also the case in the Autumn but I didn’t notice). May be more accurate but I am not sure I fully agree with that. These marvellous wines have been manzanillas since 1999 and have surely earned the right to the name. They also don’t quite have the full, oxidated richness I associate with the best pasadas. It certainly has all the flavour and character of the very best manzanillas. One of the most biological of wines, it has a sea air, wet reeds and rockpool nose, and the definition of zingy salinity – it is searing. Then spicey salad flavours that this time Inam finding slightly sweet. Vultures are already in grave danger in my apartment and I expect a dramatic fall in the population generally – get them while you can.